John is a partner in the Corporate and Securities Law practice group. His practice areas include mergers and acquisitions, corporate finance, equity and debt security offerings and general corporate matters. 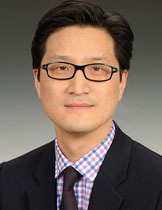 He has represented public and private clients, as well as alternative investment vehicles, in various corporate and securities transactions, including strategic and financial acquisitions, secured and unsecured debt financings, asset based credit facilities, and complex convertible security offerings. He also advises clients on corporate governance, securities regulations and disclosure issues, and regularly counsels corporations and insurance companies on insurance-related matters and complex litigations. Commodities transporter in refinancing of its $116 million credit facility, including working capital revolver, real estate facility and equipment financing. National student transportation company in $205 million out-of-court restructuring. Private investment fund in $105 million sale of controlling interest in internet payment company. Real estate developer in $180 million of acquisition and construction loans. Alternative investment advisor in formation of $1 billion fund. High net worth individual in $15 million personal line of credit. National bus transportation company in $185 million high yield offering. Infrastructure company in its reverse merger into public shell. Employee of internet company in $32 million sale of his employee stock. Internet retailer in $33 million acquisition by strategic buyer. Public computer technology company in management buy-out of business and acquisition of new business line. Public internet company in private placement of $15 million of convertible preferred stock.